EcoTurca Tekstil Tarım Hayvancılık Tasımacılık A.S.
China Dalian Xinglongken Organic Products Co., Ltd.
Denis Food Processing (Shenzhen) Co. ltd.
Wei Jung Food Industry Co. Ltd.
Herb Garden Biotechnology Co. Ltd.
Bergin Friut and Nut Co.
Gayatri Organic Foods Pvt. Ltd.
Eaternal Health & Organic Foods Pvt Ltd.
Tofu Shop Specialty Foods Inc. Living Tree Community Foods Inc.
Edward & Sons Trading Company Inc.
Cheng Yuan Organic Co. Ltd.
Sade Organik Urunler San. ve Tic. A.S. 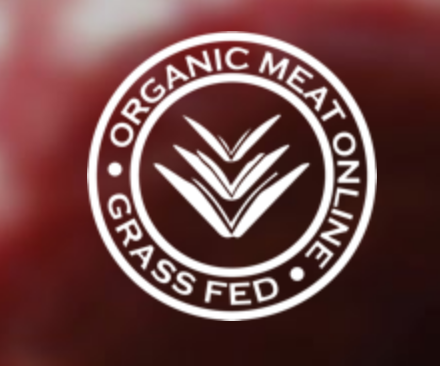 Supplying Australia with the highest quality fresh organic meat. Product range includes grassed beef, Wagyu beef, Black Angus Beef, Premium Tasmanian and Sovereign lamb, Free Range Pork, Nitrate Fee Sausages and Bacon. The finest restaurant. A unique range of fruit packs that are comprised of organically grown fruit from Australian rain forests. Packs include rain cherries, berries and chutney. For 77 years Wiech's Egg Noodles have been hand prepared in the old German Tradition by artisans. Once a secret of the Barossa, now available to the world. Supplier of Organic Acai direct from the Amazon. Purple Berry super food in a variety of forms including frozen packs, powders, capsules , health bars and Acai Berry Puree. Offering an extensive range of quality organic pork lamb beef and chicken produced on the farm or sourced from other local organic farms. Suppliers of quality organic food to luxury hotels and caterers in France and abroad. The product range includes Organic Poultry, Organic Fish and Organic sweets and are used by top chefs in five star hotels. Creamy and delicious butter made from organic coconut oil, nut free and dairy free. Each organic ingredient has been carefully selected for the production of items such as Probiotic Melt Organic Spread, Rich & Creamy. National Award Winning Table Olives, Tapenade Dips and other Olive Products. Estate Grown and Produced , Certified Organic Producer, Processor & HACCP Certified. Located one hour from Brisbane. Australian bush food growers supplying a diverse range of organically grown food such as bush tucker, fruit herbs and spices, along with bush dukkah, lemon tea tree oil and a unique selection of lemon myrtle. Suppliers of free-range, organically-fed and hormone-free chickens, processed to strict Kosher standards. The range also includes Turkey and Beef products. Operating as the only certified non GMO organic cheese producer in the entire world, their entire organic cheese line as well as their organic butter has been verified to not alter any organism genes in. Distributors of a wide range of organic products throughout Europe and Australia. The range includes a variety of produce, refrigerated goods and packaged nutritional products. Processors of quality certified organically grown products distributed throughout Australia , the Middle East and Asia. Products include flours, dried fruit, nuts and muesli. Healthy natural and pure organic wholegrain cereals. Free of nuts and nut derived products . Range includes rice puffs, buckwheat puffs , millet puffs and spelt puffs.